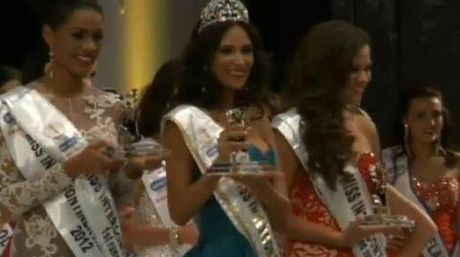 21 year old Miss Venezuela, Daniela Chalbaud was crowned as the new Miss Intercontinental 2012 during a glamorous gala held last November 23 at the Eurogress Convention Center in Aachen, Germany. Crowning the new winner was last year's queen, Jessica Hartman from the USA. Daniela is currently a language student and works as a professional model. Finished as the 1st run-up was Genesis MariaDavilo Perez of Puerto Rico. 2nd run-up was Laura Ashfield of England. The 3rd run-up was South Africa's Roxanne Amy Zeller. And finally, the 4th run-up place went to Natthida Pekkhad of Thailand.